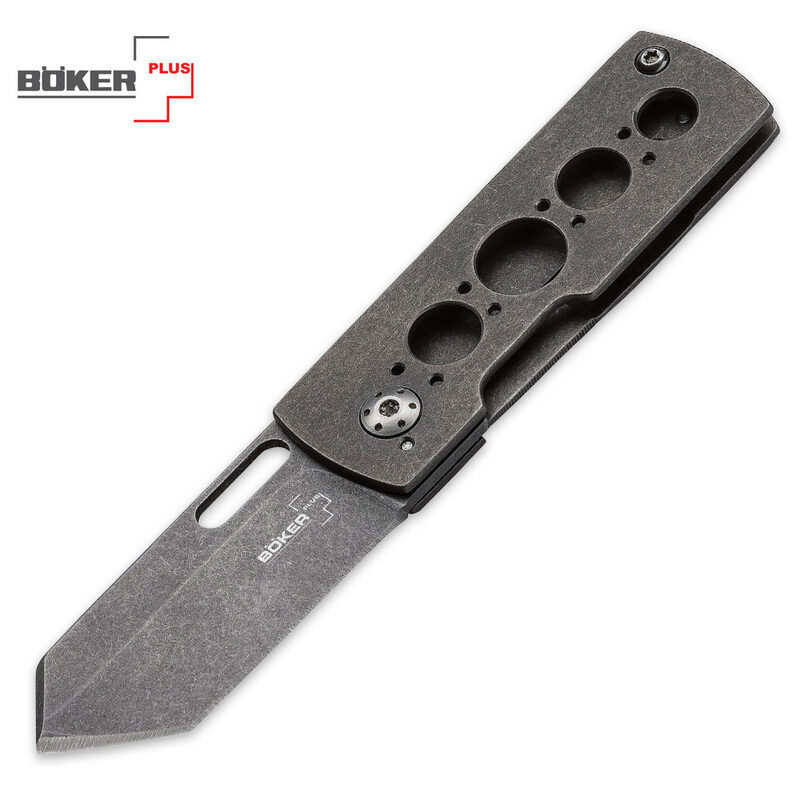 Boker Plus Pelican Pocket Knife | BUDK.com - Knives & Swords At The Lowest Prices! The eccentric, innovative Boker Plus Pelican is certainly not your granddaddy’s pocket knife. Famous Florida knife designer Brad Zinker creates an excitingly modern blade that pays homage to his previous Boker blockbuster, the Urban Trapper, but in a much more compact design. The Pelican sports a titanium framelock, a 1 6/7” VG-10 stainless steel blade and a pocket clip that doubles as a money clip. Both the handle and blade are stonewash-finished, invoking a stark, industrial cyberpunk motif.